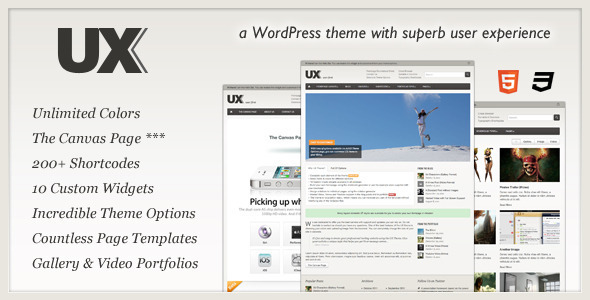 UX is a HTML5 & CSS3 “Super Premium” Commercial theme full of WordPress 3.3+ gems and features. The flexibility of the framework allows it to be tailored to a Blog, Portfolio, Creative, Business or almost any other kind of website one can imagine. You will not find a more comprehensive admin interface – easy enough for a beginner to grasp immediately.